Grandfather shot the man as he opened the gate to the front yard. The man died on the spot. After killing the man, my grandfather went into hiding for seven years. This event was the legacy left to my father by his father. Would what happened thirty years before my birth have an impact on my life? 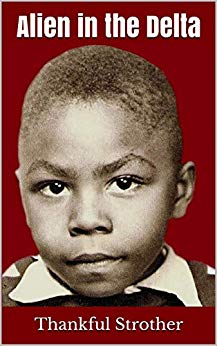 Alien in the Delta’s author Thankful Strother takes you on a journey that highlights the life experiences of a boy from the age of six through manhood. He grew up on the Mississippi River in the Arkansas Delta but felt out-of-place in that environment. In his hometown, prejudice and inequality were practice openly. Not until he went abroad was his escape realized. He takes you on his adventures in the rural south and throughout Europe. Thankful Strother spent four years in the United States Air Force stationed in Germany where he learned to speak German and met his future wife. He settled in Detroit and started a family, bought their first house and goes to work in the automotive industry. Attending vocational school at night and weekends learns computer programming. Enters the corporate world and becomes a successful manager and later becomes a real estate investor. He shares with you a variety of emotions including fear, sadness, happiness, and amusement. Alien in the Delta is a memoir about a poor boy that discovered how to overcome life's obstacles at every turn to become successful. Alien in the Delta is a feel-good book about determination. It is memorable, simple, direct and straightforward. A natural read with lots of humor and insight. An excellent memoir filled with self-help and life lessons.